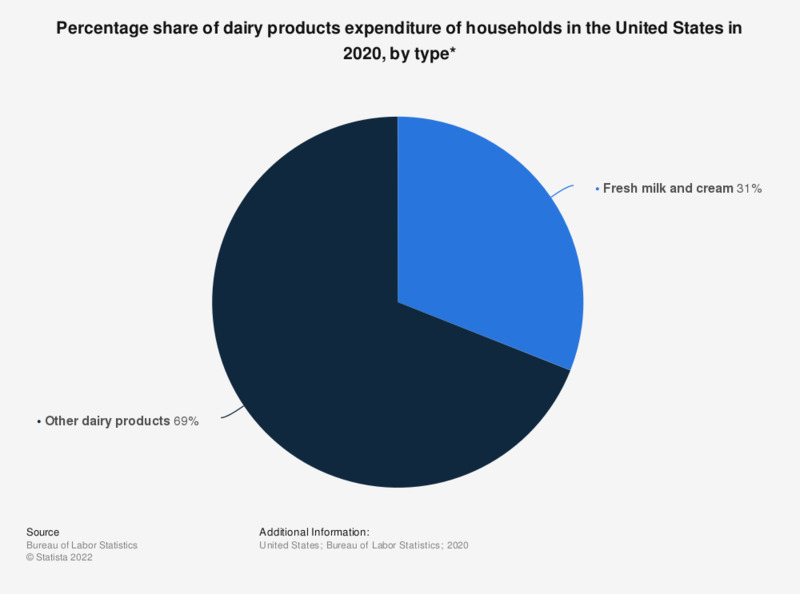 This statistic depicts the share of dairy products expenditure of U.S. households in 2017, broken down by type. Fresh milk and cream expenditure of U.S. households captured a share of 32.67 percent of total dairy expenditure in 2017. The total spending on dairy products of U.S. households amounted to 450 U.S. dollars that year.